The 2018 season has started in exhilarating style, with victories for Scuderia Ferrari’s Sebastian Vettel at both the Australian and Bahrain Grand Prix; and then for Red Bull Racing’s Daniel Ricciardo in China. Lewis Hamilton then won a thrilling and dramatic race at the Baku City Circuit in Azerbaijan and most recently Hamilton was again victorious in last weekend’s Spanish Grand Prix. The 2018 season also sees the return of the French Grand Prix for the first time since 2008, at the Circuit Paul Ricard, which last hosted the French Grand Prix in 1990. The German Grand Prix also returns to the Championship after not featuring last year, with the Hockenheimring hosting the race in July. F1 2018 will feature all of the official teams, the drivers and circuits of the 2018 season. F1 2018 was released on PC, PS4 and Xbox One 239d ago in the US and the UK. Notify me when F1 2018 is available. Based on 1 F1 2018 reviews, F1 2018 gets an average review score of 85. 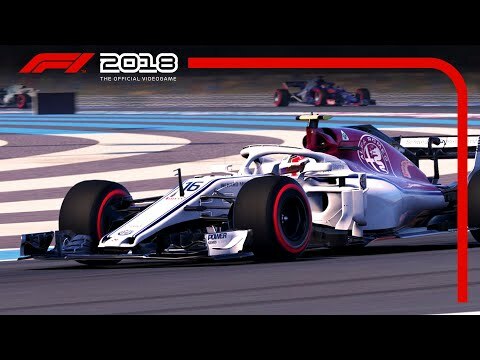 The improvements to F1 2018 are largely incremental but it's absolutely the best dedicated F1 game to date.